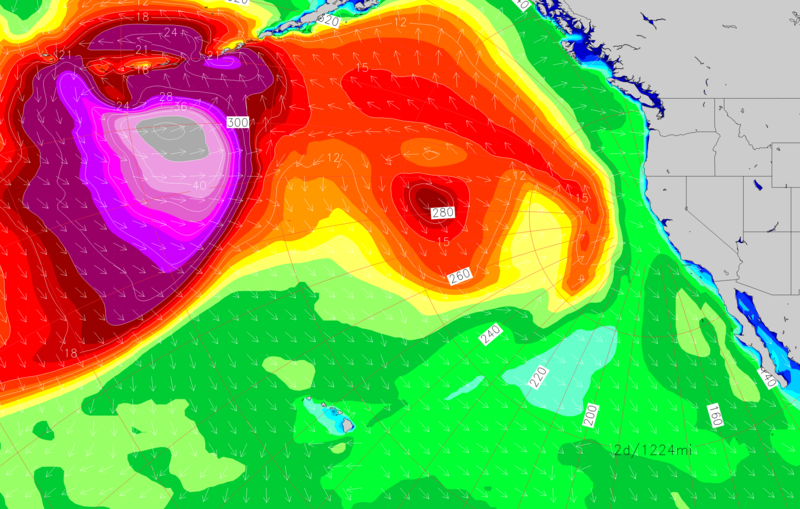 The month of December is off to a quick start with yet another purple blob trotting through the North Pacific. That long period energy eventually makes its way towards the West Coast too, where good winds await to meet, greet, and groom the large surf. There's also weather coming along as a storm drops down the coast, bringing rain to Southern California this week.